The thing is, the collection of particles, commonly known as Standard Model (SM) of particle physics, do not have this property. Though, some low-energy neutrinos travel miles without rocks being affected. But high-energy neutrinos, as well as high-energy particles, which have “large cross sections” (i.e., they will always crash into something soon after entering Earth’s atmosphere) will never make it out of our planet to the other side. 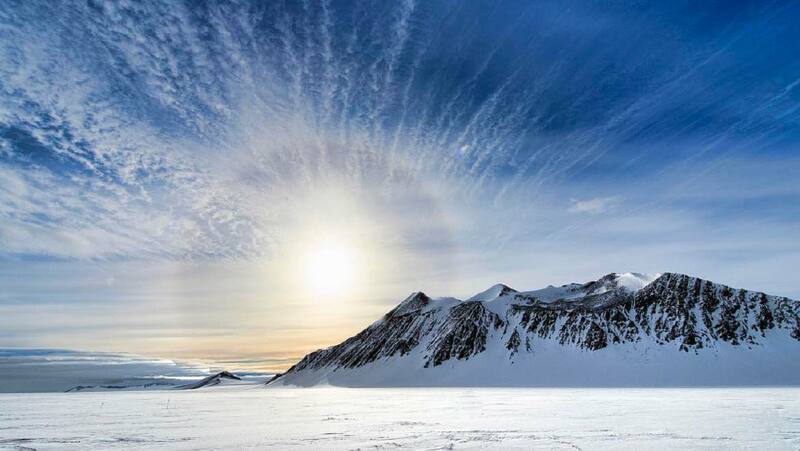 Hence, the mystery of these particles emanating from Antarctica continues. 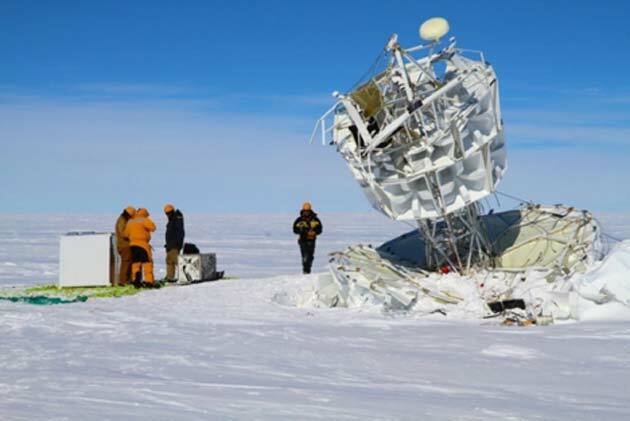 A NASA’s balloon-borne antenna drifting over the southern continent known as Antarctic Impulsive Transient Antenna (ANITA) have reported two events in Antarctica where cosmic rays did burst out from Earth, since March 2016. This has drawn a lot of attention from researchers globally. Now, ANITA is specifically designed to hunt cosmic rays from outer space. Since these reported cosmic rays were blasting up from Earth instead of zooming down from space, the high-energy neutrino community was very excited. This phenomenon has opened new avenues for mysterious beams made up of particles never seen before. With respect to this, physicists have proposed a number of probable explanations for these “upward going” beams like sterile neutrinos (neutrinos that rarely ever bang into matter) to “atypical dark matter distributions inside the Earth” that can be a mysterious form of matter, which does not interact with light. On the 26th of September 2018, Dr. Derek Fox and his team at Penn State University uploaded a new explanation, as a paper, on to the preprint server, arXiv. According to Dr. Fox, the rays have been more upward going high-energy particles than those detected during the two ANITA events. 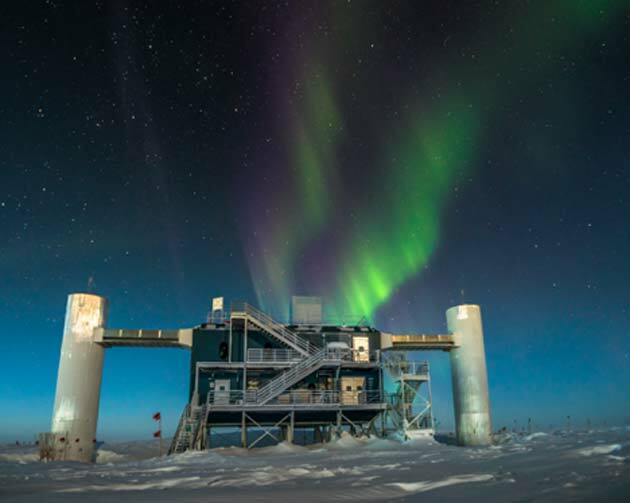 Another large neutrino observatory in Antarctica, known as IceCube, detected similar particles thrice before. Combining ANITA and IceCube datasets, the Penn State researchers calculated that the mysterious particle bursting from the Earth has only one in a 3.5 million chance of being part of the Standard Model. According to Live Science, in technical and statistical terms, the team's results had confidences of 5.8 and 7.0 sigma, depending on which of their calculations were being considered. Dr. Fox first came across ANITA's events in May 2018, through papers, and tried to understand them. Though he felt these pieces of research did not make much sense, ANITA’s data was indeed very intriguing. So, along with Dr. Steinn Sigurdson from Penn State University, Fox started thinking of other possible explanations. The team started looking for similar events in data collected by other detectors. When they came across similar events of "upward going" events, as part of the IceCube data, they realized that they might have stumbled onto something unusual and game-changing in the realm of physics. Regarding this theory, Seyda Ipek, a particle physicist at UC Irvine said, "Even though the SM works very well in explaining a plethora of phenomena, it still has many handicaps. For example, it cannot account for the matter-antimatter asymmetry of the universe." Experimental high-energy particle physics has been at a standstill after 2012 when the LHC (Large Hadron Collider) (17 miles costing $10 billion) Observatory based on the border of France and Switzerland confirmed the Higgs boson. Higgs boson is the final undetected part of the Standard Model. Since 2012, LHC has not detected anything significant. Scientists like Dr. Jessie Shelton of the University of Illinois at Urbana-Champaign and Dr. Fox believed that they needed new ideas. Following publication of this paper, Dr. Mauricio Bustamante, an astrophysicist at the Niels Bohr Institute at the University of Copenhagen, and Dr. Bill Louis, a neutrino physicist at Los Alamos National Laboratory, indicated ANITA's anomalous events due to particles which are not SM particles, and that the data from both ANITA and IceCube were very compelling. Fox and his colleagues argued that these mysterious things are some sort of super symmetric particle named as “Stau sleptons.” Stau sleptons are reported to be more geometric versions of a Standard Model particle called the Tau lepton. The scientists believe, at this stage, the level of specificity could a bit stretched, and there is not enough data to figure out the reason for this particle's trip. In this moment of excitement and curiosity, Dr. Fox and his team also looked for a long chain of papers from previous times. They are hopeful to find some clues from those theorists. "For us to be certain that these events are not due to unknown unknowns — say, unmapped properties of the Antarctic ice — we would like other instruments to also detect these sort of events," said Bustamante. Over the long-term, if these results are confirmed, and the details of what particle is causing this phenomenon are nailed down, several researchers have indicated that the ANITA anomaly might unlock even more new physics at the LHC. Physicist Ipek mentioned, "Any observation a non-SM particle would be a game changer because it would tell us which path we should take after the SM." She added, "The type of [supersymmetric] particle they claim to have produced the signals of, sleptons, are very hard to produce and detect at LHC. So, it is very interesting if they can be observed by other types of experiments. Of course, if this is true, then we will expect a ladder of other [supersymmetric] particles to be observed at the LHC, which would be a complementary test of the claims." According to Live Science, the ANITA anomalies could offer scientists the key information necessary to properly tune the LHC to unlock more of the super symmetry. Such experiments might even turn up an explanation for dark matter. Right now, Fox said, the need of the hour is more data.